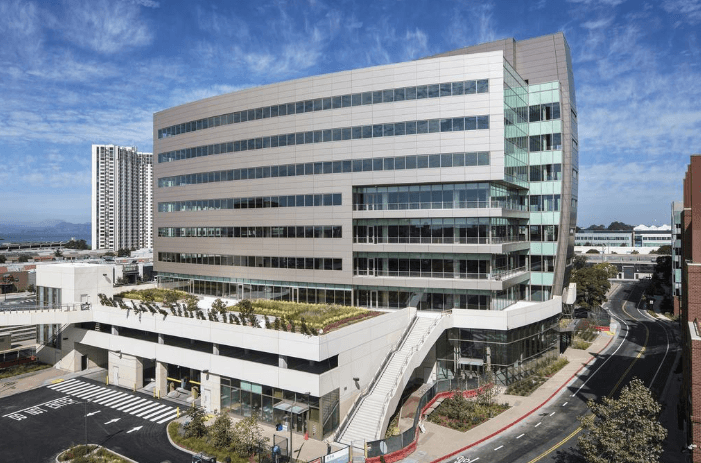 One of the Bay Area’s largest life science landlords, Wareham Development, is now more than a third leased up in its latest project, the 265,000-square-foot EmeryStation West in Emeryville. The San Rafael-based developer recently completed the building after starting construction back in 2016 with no tenants in hand and now has commitments for 93,000 square feet with Profusa Inc. taking 18,000 square feet and Dynavax Technologies Inc. taking 75,000 square feet. “We have built the project to the highest-quality research and office building standards and are pleased the market recognizes that,” said Geoffrey Sears, a partner at Wareham, in a statement. The building, designed by Perkins + Will, contains seven stories of office and lab space above two levels for transit and parking. DPR Construction served as the general contractor. The building is part of Wareham’s 2 million-square-foot EmeryStation research and technology campus and is the latest addition to the company’s broader 4.5 million-square-foot portfolio in the Bay Area. Wareham, led by CEO Rich Robbins, has specialized in developing biotech and life science buildings in Emeryville, Berkeley, Richmond and Palo Alto. Before EmeryStation West, the last new office building in Emeryville was Wareham’s 99,000-square-foot EmeryStation Greenway in 2012. That property was leased up by Stanford Health Care. How are there over 100,000 vacant homes in the San Francisco metro area?